Home automation with smart door locks provides keyless & secure entry for your home or business. Smart door locks allow you to remotely monitor door entries and deliveries, to welcome your family members or any visitors with a single tap on your smartphone. Your smartphone will function as a principal key, while your guests may get extra digital keys limited by time or home zones. Furthermore, you can create automated scenarios during which your doors lock automatically when certain people leave/arrive home. A scenario may be set to occur at a specific time of the day, for example, to lock a door at night. In addition to this, you may use voice assistants (Apple Siri, Google Assistant, Amazon Alexa etc.) 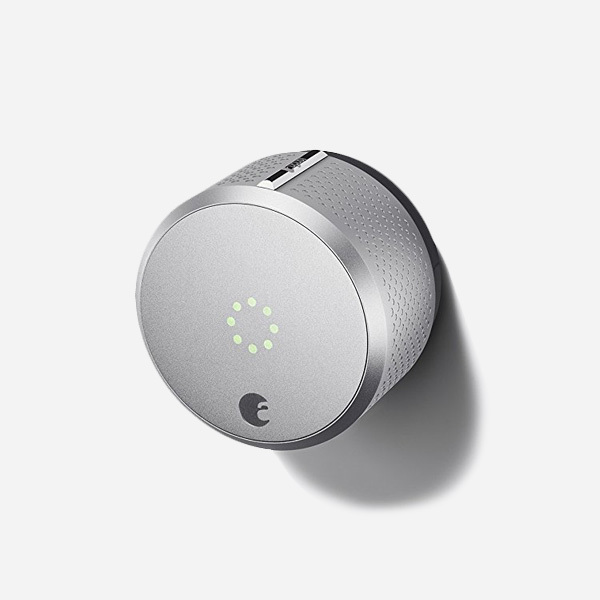 to operate your smart lock in a hands-free manner. The most popular smartlock solution, a component of August Smart Home Access System. Fully compatible with August Doorbell Cam and August Connect. 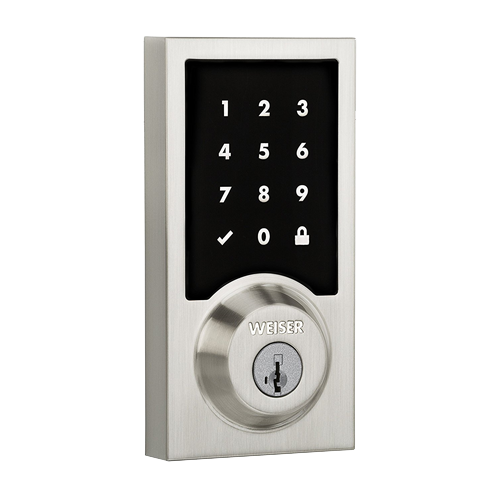 A touchscreen electronic lock by Weiser, the leader of lock deadbolts manufacturers. Combines 2-in-1: a keyless touchpad and a lock. Fingerprints free keypad technology.